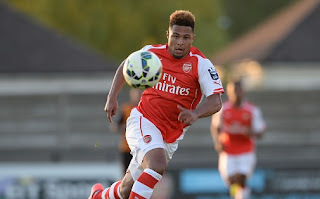 Transfer News – 7th August, 2015 Young pens new Man Untied contract, Marc Muniesa seal new Stoke City, Arsenal starlet Serge Gnabry seal West Brom loan deal. Ashley Young pens new Man Untied contract, Eljero Elia joins Feyenoord, Marc Muniesa seal new Stoke City, Arsenal starlet Serge Gnabry seal West Brom loan deal and much more in today’s transfer gossips. Manchester United winger Ashley Young has sealed a new deal at Old Trafford. The 30-year-old who joined the Red Devils from Aston Villa in 2011 has expressed his happiness after his new three year deal. Read Full Story! Eljero Elia has completed his move to Feyenoord from Werder Bremen, according to SkySports. The Dutchman who has played for Juventus and Southampton has signed a two year deal. Arsenal youngster has completed his move to West Brom on a season long loan deal, according to arsenal.com. The German was in link with a move since the start of summer. Marc Muniesa has penned a four year deal at Stoke City, according to SkySports. The Spaniard was signed from Barcelona two years ago. He has made 39 appearances for the Premier League side. Liverpool boss Brendan Rodgers is targeting Crystal Palace star Yannick Bolasie, according to Express. The reports revealed that manager Alan Pardew has put a £25million price tag on his star winger.